These squat, furry mammals, mainly found in Africa, despite being superficially like a pika or marmot are curiously more closely related to the manatee and the elephant. Rotund and short-tailed, they live up cliffs in caves and small burrows, and are good climbers, mostly eating vegetation of various sorts. One curious quirk is their tendency to huddle – they actually have very bad internal temperature regulation compared to most mammals and will sun-bask or sit in huddles in order to compensate for the fact. The hyrax is a bit mysterious in its way, being in a role we more usually associate with rodents or lagomorphs but not akin to them, and it is maybe in that role that it’s best fitted into stories and settings. They’re mentioned in the bible, and they make a suitable substitute for rabbits that mark out a warmer and more rocky setting, but they may have uses beyond that. In one rather obscure novel, Omar, a hyrax character claims their species was the origin of Lewis Carroll’s “frumious Bandersnatch”, and one can imagine these heavy-browed, almost lorax-like creatures taking up some sort of talking-animal or similar role. The oilbird, or guácharo, is certainly not a well known animal, and nor is it initially a very dramatic seeming one – it’s a medium sized brown bird that mainly eats fruit. There are a few things about the oilbird that make it rather more intriguing though; for one thing, the name “oilbird” comes down from the fact that people used to literally boil down oilbird chicks to get the oils out. Given this rather gruesome fate, it seems little wonder that the oilbirds have a famously harrowing cry – on Trinidad they were sometimes referred to as “little devils”. The oilbird has one other sneaky and rare trick up its sleeve too; it’s one of the only birds that can use echolocation, clicking its beak and listening for the echo to work out where it’s going at night. We are used to the high-pitch echolocation used by bats, which in any case we can barely sense, but there’s something decidedly unnerving about a flock of birds (and oilbirds live in cave-dwelling colonies) flying out into the pitch black, clicking their beaks as they find their way through the night. The hunting of oilbirds was vividly recorded in the nineteenth century, when travellers to a Venezuelan monastery recorded the massacre of huge numbers of oilbird chicks around midsummer. Local people would apparently move their dwellings up to the mouth of the birds' caves and process the chicks on the spot after knocking them down with long poles, with the terrible cries of the adults in the darkness above their heads. As well as oil, they would cut open the crops of the birds and take out hard "guácharo seeds" for use as a fever cure. The oil harvest produced the whole year's cooking and lighting fat for the monastery - but as the fever cure story shows, the caves were nonetheless a place of superstition. This may be no surprise, either, with the birds literally able to fly far deeper into complete darkness than the humans could, with increasing numbers of increasingly piercing cries if one went further into the cave. The association with hell was very direct - death was known as joining the guácharos to the local people, and the exorcism of spirits (including a chief evil called Ivorokiamo) was noted as one of the activities happening at the cave mouth. They're evocative birds, I think, with real inspiration potential. The far from humble caracal has to be one of the most under-appreciated members of the cat family. Its name is Turkic, from kara kulak, literally “black ear”, and their impressive ear tufts along with their orange coat and sleek build make these visually very impressive animals. Whilst not as big as a leopard or lion, they are fast, agile, and capable of taking down prey far larger than themselves. Their powerful back legs give them a particularly notable jumping ability, which they can use to take down avian prey as it tries to fly away from them. The caracal is stuffed with potential for stories, and has a long history of interaction with humans, mainly in that they can be trained as hunting animals (Iranian legend had the mythical Shah Tahmūraṯ select them as one of the first and best hunting animals to be trained, along with the cheetah). 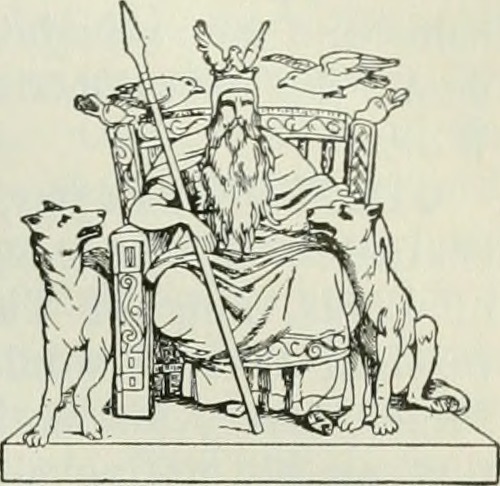 For any nobility who consider dogs just a bit too normal they can be used in much the same way, especially for running down small and nimble prey like hares or birds. Chinese Emperors used to give them as gifts, and it was common in parts of India to test trained caracals against one another by using them in competitive pigeon hunts (almost certainly thereby originating the phrase “put the cat amongst the pigeons”). A pet caracal definitely marks out either a setting or a character as either connected or existing outside a European-themed milleu, and bestows on them the feeling of seriously cool elegance that cats always have. There’s also definitely something more impressive about hunting with cats because we don’t expect it – humans regularly hunt with dogs and we tend to think of them as controllable, whereas we have a very different idea of cats and being able to command them feels inherently more impressive and very classy indeed as a result. The sea sheep is actually a sort of sea slug – a bizarrely diverse group of creatures with a multiplicity of forms – with a pale body and a mass of green fronds attached to its back. So why look at this particular blobby invertebrate? Firstly, it has a bizarrely cute face that looks very much like a cartoon farm animal, hence its name. Second, it has an absolutely incredible biological trick that’s well worth its inclusion here. Like most sea slugs, it eats algae. Unlike most sea slugs, it steals the chloroplasts out of the algae and reincorporates them into its own cells. Those green fronds aren’t just for show; they’re actually photosynthesising, letting the sea sheep produce energy direct from sun power. The suggestion of photosynthesising animals has often been made in sci-fi (not least in some theories around 40K Orks) but it’s very cool to see a species that does it for real. We think of plants and animals - and different categories within either - as being fundamentally separate groups that we can distinguish by means of identifying characteristics. Creatures that by their nature play with and distort those boundaries always add significant interest, both in challenging the reader's ideas about the world and in making that particular animal stand out. The nuidbranch sea slugs of which the Sea Sheep is one are all pretty strange and have an almost science fiction feel to them to start with - to come up with strange things in space, starting here on earth is often a surprisingly fruitful point of departure. There are two types of slender loris – the endangered Red, native now only to parts of Sri Lanka and with few left in the wild, and the commoner Grey which also lives in wide areas of southern India. They are primates with huge eyes, usually solitary and nocturnal and thus rarely seen, mainly feeding on insects deep in the forests of their home. Like all primates they are excellent climbers, and their huge brown eyes give them a strange sense of wisdom. They used to be considered quite ugly due to their thin, lanky appearance, and the Tamil word for loris, thavangu, could also be applied to ill and emaciated humans according to 19th century records. One old proverb recorded in the early 20th century was that they say that the loris's offspring is to it as beautiful as a gem - in other words, that parents will love their children even if they are ugly or misshapen. For the lorises, humans and habitat loss are a major threat, but with some difficulty greys have been kept as pets. Slow-moving, and with strangely human-like hands and big front-facing eyes, they have reportedly been used by fortune tellers to select tarot cards, and that sort of mysticism suits their strange nature right down to the ground. Their association with magic and the mysterious extends to their use in potion-making traditions, from eye medicine to supposed leprosy cures. In setting design writing they would no doubt make an excellent companion to a mystic or magician for exactly this reason – there’s definitely something of the ethereal about these beautiful little creatures. The Pink Fairy Armadillo’s name alone is more than enough to merit inclusion in the Unexpected Bestiary, but they’re also just all round lovely little creatures. They’re mainly burrowing animals, and small enough to fit quite comfortably in someone’s hand. Their slightly odd shape, with a very flat back end, is an adaptation to ensure they’re armoured from behind as they dig away at their tunnels: like all armadillos they of course have armour plating, too, though it’s not enough to fully protect them from feral dogs which are one of their major predators. I think to include the fairy armadillo in setting design you have to double down on how weird it is. As a burrowing animal they don’t make good pets, so their use to humans is always going to be very restricted: their use to fairies, pixies, and sprites on the other hand could be great fun to read about, either for hole-digging or perhaps as beasts of burden. I don’t know if the pampas has many traditional little folk myths, but it would be great to see these combined with some such creatures for a story. Heading out to the coasts, the phalarope is a bird of shorelines and salt lakes that has some surprising and interesting characteristics. There are three existing species: the grey, red-necked, and Wilson’s phalaropes. The most characteristic sign of these birds is their tendency to swim in apparently mad small circles – a behaviour that is actually a core part of how they feed. Their circular swimming creates a vortex in the water that pulls mud, small crustaceans and insects up from the bottom of a pool; the phalarope can then simply dip its long beak in and grab morsels to eat. It's an interesting feeding strategy and it might be a fun idea to apply to mythic creatures too - it's certainly a good alternative idea for where a whirlpool comes from! In phalarope society, it is also the female that rules the roost, with females being large, brightly coloured, and each engaging in competitions to win over a number of smaller, drab males with whom they mate and who they then get to look after and hatch the clutches of eggs they lay. Once the breeding season is over the birds will migrate every year to stay with the best feeding grounds. I hope you enjoyed this run through a few more obscure and interesting animals - there's plenty of fish left in the sea (we didn't even do any fish this time), not to mention birds in the air, etc, so I hope we'll get one or two more of these articles out in 2019. Please let me know if you enjoyed it - comments, and sharing the link to this article so others can find it too, are always hugely appreciated. And of course thanks for reading! Tartessian gold artefacts. © José Luiz Bernardes Ribeiro, CC-By-SA license. The Guadalquivir is the only great river in Spain that is navigable for a significant proportion of its length, cutting down from the mountains through Cordoba and Seville to the Gulf of Cadiz where it meets the Atlantic. Long before it was the Guadalquivir, though (a name stemming from the Arabic for Great Valley), hundreds of years before Muhammad, Jesus, or Caesar stepped foot into the world, it held another name. That name, seemingly shared with the region generally and perhaps also with a now lost city at the river’s mouth, was Tartessos. Tartessos is a Greek word, and it is to the Greeks that we must mostly look for writing on the people who lived there. Herodotus, in the fifth century BC, paints a picture of a fully functional monarchy capable of negotiating with Greek merchants who arrived on Tartessian shores. He gives us just one name for a king, Arganthonios, though whether this is really a name, a title, or an epithet is impossible to tell. Either way, it is likely linked to modern words like argent, meaning silver – the metal that southern Iberia was known for and which could well have given the Tartessians great wealth. Herodotus shows them having friendly relations with Greek seafarers, with their trade making an accidental lifetime’s wealth for Kolaios of Samos, apparently the first Greek to sail so far west and only then due to being driven there by storms. These friendly relations may have had a darker overtone though, too, in mutual fear at the rise of what would ultimately become the dominant pre-Roman power of southern Iberia, Carthage. Scattered references exist elsewhere – Stesichorus gives Tartessos as the home of the giant Geryon whose cattled Heracles stole, and one later reference suggests that the Tartessians’ own sailors reached as far as Brittany – but for the most part the history of Tartessos as a country remains mysterious. This vague picture of a rich and welcoming culture is only the starting point, however, for what we now know about the Tartessians – archaeology in recent decades has provided a considerable amount of additional interest. Huelva, a modern city that is another strong candidate for having once been the Tartessian capital, boasts huge pre-Roman deposits of silver-bearing slag material. With gold and tin also present in southwestern Iberia, the fabled wealth of Arganthonios seems thoroughly historically plausible, and mining (done without even the aid of iron tools) seems to have been a common activity even before Greek and Punic influence on the area began in around the eighth century BC. The arrival of foreign trade is likely to have supercharged the mineral-rich economy of the region, with trade posts springing up on the coast and imported pottery starting to appear in Tartessian graves, flowing in as heaps of rough-chipped hacksilver flowed out to be traded by weight at markets across the Mediterranean. Along with their pottery, other new objects brought by traders started appearing in Tartessian life – incense burners, bronze jugs and braziers. Decoration styles, as in the Greek world, moved from geometric designs to more detailed imagery, with jug handles made as hands grabbing the bowl, and lotus flowers, gryphons, ram’s heads, and other such motifs found more and more on common items. Trade may have even touched the Tartessians’ gods, with statues of recognisably eastern and Punic-style deities providing some of the more spectacular archaeological finds in the region. It this period that defined Herodotus’ Tartessos, where a creative, if perhaps difficult, fusion of native culture, a thriving raw materials trade, and increasing economic and political influence from outside shaped a culture and, perhaps, the state that Arganthonios ruled. Tartessos moved from being a land where villages were formed of scattered circular huts to one where settlements had planned, stone-built houses. This land was not simply being absorbed into a new culture, though – it was adapting to it. The introduction of writing allowed the Tartessians to express in a Punic-style alphabet their own, possibly Celtic-related, language in inscriptions on their tombs, calling on deities with names that seem to link to the Irish god Lugh or the Celtic horse-Goddess Epona rather than to Punic Baal or Astarte. 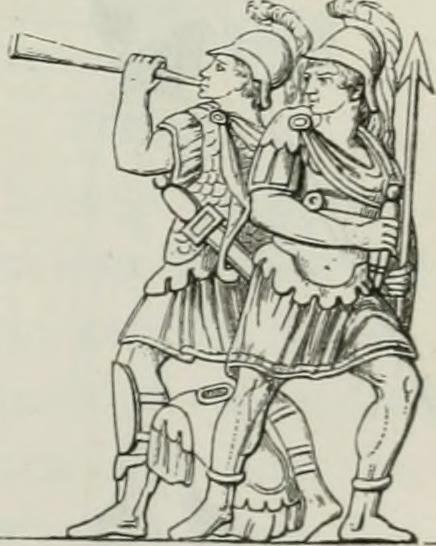 Spears and carp-tongue swords, in which a broad blade narrows in its final third to a stabbing point, seem to have been the favoured weapons of the Tartessians. We have no records of how Tartessos fell, though Carthaginian expansionism is perhaps one of the more likely culprits. If there was a city of Tartessos based in the Guadalqivir delta, the shifting waterways at the mouth of the river may have also contributed to the loss of the city’s power, as they have done with so many other port cities around the Mediterranean world. Either way, by not long after 500 BC Carthaginian dominance had been far more firmly established in the region, and Tartessian culture and literary references alike drop out of the historical record. The rosy picture Herodotus handed down of Tartessos has proven captivating to some more modern imaginations. In these scattered references, some scholars saw in Tartessos a link to the fabled wealth of the biblical city of Tarshish, which spurred on archaeological searches for a central Tartessian city. Others aimed still higher, seeing in it, shining in silver beyond the Pillars of Hercules before ultimately being lost to floods, a possibility of discovering Atlantis itself. Even in recent weeks, a new film suggesting the ‘discovery of Atlantis’ involves aerial mapping teams claiming to have major new archaeological discoveries in the Guadalqivir delta. If they are to any degree correct – and given they have rushed to film-makers rather than academic journals, one should be cautious – it may well be Tartessians, not Atlanteans, who they have to thank. Perhaps, though, Tartessos is as intriguing as Atlantis anyway. Being the only attested Iberian state to have been recognised across the Mediterranean before the Romans, they occupy a unique position in history. Caught between the Punic and the Atlantic, theirs was a land built on a metal-rush, full of new ideas and foreign images, all the while using them to express a culture they made their own. The silver wealth of Arganthonius may have long since been scattered, but the gods and people of his realm still have the power to intrigue. It’s nearly Hallowe’en, so let’s talk about some of the darker creatures of myth and legend – in this article, specifically, demons! I’m here using demon as a general category for evil magical creatures associated with hells and punishment – I’m not for example differentiating demons and devils in the way some specific settings do. One of the most important influences on modern ideas of hell is the work of Heironymous Bosch, an late fifteenth to early sixteenth century painter whose bizarre, horrific, and chaotic scenes created a grotesque, absurd, terrifying image of the hereafter. As well as his own contributions he practically started a genre, with Pieter Breugel being perhaps the most famous follower to create a number of works in a similar style. Rather than the emphasis being on punishment or sin per se, the emphasis of Bosch and Breugel’s hell seems to be chaos, the warping of real and everyday things into disconcerting and unfamiliar combinations, busy pictures showing a mass of uniquely crafted tortures and creatures scuttling around. Given their already notable impact on the genre, can these eccentric painters of the sixteenth century teach creators of fantasy anything today or add anything new to how we treat hellscape-style subjects? I think they can, especially when it comes to our depictions of demonic creatures. The dazzling variety of beasts in the works of the two men is one of their crowning achievements. Their demons are not regimented or regular, even when they appear in armies – they are the unique horrors of unique contraventions of the moral order of the universe. Despite this, depictions of the demonic in fantasy media have settled to some degree. Horror demons have a lot of variation, but primarily down the lines of body horror and lovecraftian tentacles: meanwhile fantasy imps, devils and demons have in many cases settled into the goat-horned, satyr-like devil depiction, or at least some other form of humanoid. Tabletop gaming perhaps further builds on this perception, by presenting regular ranks of, to take two Warhammer examples, ‘bloodletters’ or ‘plaguebearers’, all of whom are essentially similar in style and function. If I say “demon” to you, you probably expect a pointed tail, red skin, perhaps a prodding weapon like a trident. Whilst it’s great to have such an evocative image available, it feels like there’s more that could be done to play around with those ideas. Reintroducing a much wider conception of flat out weird demons and what they look like has a bunch of advantages for any creative work that touches on the subject. As such, here’s three key ideas for how to use Bosch-style demon ideas in your creative work. Firstly, ditch the humanoid body plans. Some of Bosch’s stuff may be more body horror than you want in a fantasy campaign, but there’s plenty that isn’t, especially among the smaller demons he depicts. There are a few broad categories here it’s worth thinking about: firstly, chimera-type demons, with animal heads, bodies, or both; secondly, blemmye types, where the order and number of humanoid body parts is edited, but in a way that is grotesque rather than horrific; thirdly, combination types, where a demon is heavily associated with a non-animal item, such as a walking helmet or a creature with knives for feet; and finally, a particular specialism in the bosch oeuvre, cavity types, where a creature’s body is hollow and actually contains something else, be that a smaller demon or a useful/important item or similar. Many of these are also great from a storytelling perspective compared to a ‘standard’ demon. Chimera-types create an interesting mix of absurdity alongside malice, especially those with animal bodies and human heads. Their animal parts might be meant to exaggerate the extent to which they’re a reversal of the norms – a fish or a chicken attacking a human, for example – or they might give clues as to a demon’s character or goals (a conniving fish-demon or a cowardly chicken-headed demon might be fun for example). These things are done best when they’re done with the most every-day things possible – there’s something much more unsettling about a demon with spoons for feet and forks for hands than one with giant iron maxes for feet and swords for hands, because the former demon takes things we associate with normality and safety and puts a twist on them, rather than things we associate with danger already. Different body forms can also make a big difference to what you want players to think about a creature – a small creature, such as you might get from having a walking head with feet and a tail, is going to feel inherently less dangerous to the extent that it might almost be cute. Enlarging human anatomical items for example, like making the mouth of part of hell the literal mouth of a monster, is gross and definitely fully into the demonic idea. Finally, the demons-with-cavities idea that Bosch and Breugel both used is well worth considering: if a demon visibly is, say, carrying a vital artefact inside their body space, then the characters can get a visible reminder of what they’re doing without encumbering the demon with having to waste a hand carrying it. Demons need something to do - this sad guy from Breugel's Dulle Griet at least has a hobby! Second, give demons things to do! The concept of demons as generic servants of some greater evil who basically just obey orders is not at all borne out in sixteenth century illustrations – these guys might be peons of the lowest kind, but they still have both personalities and specific roles/functions, even if that work is magically dangling food above the hungry or just something bizarre like stealing eggs from geese and laying beetles in them or whatever. Even smaller demons ought to have personalities and hobbies, ideally – the idea of a strict typology where “type X demon has powers E, F, and G” can work with demonic creatures, but typology of characteristics shouldn’t necessarily create complete conformity of character, especially among the more chaotic sorts of demons. Third, link demons to what they’re doing in form. This is an area where the D&D alignment system has done more harm than good, by promoting a subdivision of demonic creatures where the primary differentiating feature is their attitude to . This then encourages demonic beings to be presented first within that framework and then given other attributes secondarily, whereas ideas like the classic deadly sins, or the circles of hell, might be significantly better organising principles. Beside the iconic idea of the succubus, there are surprisingly few demonic creatures that spring to mind that are really designed as a direct representation of other sins, despite the fact that these by definition lend themselves to interesting plot-hooks and visuals: imagine an avarice demon with a cavity body into which it pours money, an envy demon that takes on the visual form of the strongest enemy present, or a gluttony demon with two extra arms devoted to stuffing its face full of meat. Breugel's sin of pride - note the bizarre buildings that form the background. Fourth, remember that demons reflect the concerns from a human reality. Take the seven deadly sins, which whilst famously generic in some ways do specifically showcase the preoccupations of the time. Two sins excluded from the modern list were used at times in the past (acedia, of spiritual indifference, and vainglory, the sin of boasting). Gluttony makes the traditional list, but there’s no deadly sin related to lying – those priorities might be different in a society less concerned about food supplies and more concerned about information access. The tools and creatures that the demons use to make up themselves should reflect the world the characters and/or the users of your work know. Are there particular professions thought to be mysterious or magical in your setting? Breugel alluded to superstition about tightrope walkers by putting a demonic one in his Fall of the Magician. Particular creatures associated with certain virtues or vices in this world (Breugel associated pigs with gluttony)? The fact that a standard devil has goat hooves and horns is simply less interesting in a world that doesn't actually have any obvious goats in it! Finally, give demons a suitable environment. The thing that really hammers Bosch's hell into place isn't the demons so much as the fact that they're living in such a rich environment that has all the same upended madness that they themselves embody. We're perhaps too used to just thinking of hell/underworld locations as grim and firey and full of things that kill you. In fact, hell doesn't need lots of things in it that kill people, for the simple reason that most people who get there are decidedly past the point where that would be a significant concern to them. Rather, hell is about messing with their immortal souls - a place of buildings jumbled together in utterly wrong ways, clocks running backwards and forwards alternately every time you look at them, people living in bottles and the open mouths of giants and ships on land and castles in the sea. The overall theming of a hellscape is often done well, but the richness and maddening detail of these fifteenth and sixteenth century depictions is something that could be very usefully brought into more fantasy writing and settings as well. So there you have it. I hope that this has given you some good ideas for demons - let me know if you liked it, or if you know any good recent examples of Bosch-style demons in fantasy settings, by commenting below! Mediterranean cats are an institution. Not for them the soft furnishings and barrel-guts of the lap-cat: they are slender, clever, proud. They do not so much live beside as strut above the humans – poor, blundering humans – who catch their fish, build the buildings that shelter them, give them the respect they deserve. They are daughters of the sphinx, living in state as their forebears did ever since mankind settled those jagged shores, and the buildings and the villages grew, and curled up just like cats in every inlet and every bay. It was a warm afternoon; the cat was curled up on a low wall, waiting for the fishing boats to arrive, moving for no-one. Apollo stroked her fur with sunbeams, Poseidon yielded her dinner from the deeps, and the daughters of Prometheus stumbled past as they did every day, as they had done since people had first brought those gods to this shore. The cat stretched and yawned. A group of travellers stopped by the little empty house. They had no bags. Three were shown into it by a suited official – a man with creased brow, a broad-shouldered son, and a girl who skipped out, squeezing her face up in the sun. The cat opened half an eye as she grew near. Her eyes were slate, her hair a dark tangle, her skin sun-beaten. The cat opened its other eye, sleepily, and looked into hers. Mediterranean cats move for no-one. The cat stood, and walked over to the girl. ‘Miaow’. The cat sat looking at her. ‘Miaow?’ it added again, for good measure. The girl completely ignored it, absorbed in looking around her new surroundings. ‘MIAOOWWWW?? !’ tried the cat a third time. It was quite fed up now. The human was ignoring it. What did it think it was, some kind of superior being, despite all the evidence to the contrary? Though, in this case, the girl might have a point, conceded the cat in what it thought was a gracious manner. It wouldn’t have abandoned its O-so-comfortable perch for any normal human. This time, the strident yowling did the trick. The boy looked round and saw the cat gazing at the girl. In the manner of brothers everywhere, he promptly nudged his sister, saying ‘Look round deafy, I think you’ve got an admirer!’, before contorting his face into a leer to make the point. ‘Maybe if you kiss it, it’ll turn into a prince who can dig us out of this hole.’ he continued, before making an obscene pout. At this point, his sister punched him. ‘Shut up, Niko!’ at which point, Niko did indeed shut up. The cat, satisfied that it now had the girl’s attention, responded by coming over and sitting on her now-stationary foot in an entirely unhelpful manner, whilst purring contentedly. She needed to be observed for a while to make sure its instincts were correct. The not-so-normal human did what a not-so-normal human would do: she sat down without moving her feet, her bare knees pointing to the sky and the cat undisturbed on her foot. Then she stared at the cat. “So are you!” Her brother muttered, not quite quietly enough for their uncle not to hear. His creased brow creased some more but he did and said nothing. An old local woman started creaking down the narrow street, paused when she saw the girl, made the evil eye at her, then hurried back the way she’d come. From the other end of the street, Hera appeared and marched toward the group. The cat spotted the goddess over the girl’s shoulder and scarpered back to her wall, ears down and tail up. Satiating curiosity was one thing, but she didn’t want to be anywhere near Zeus’ latest offspring when Hera was around! The girl was too busy watching the disappearing cat to spot her danger so the clipboard-carrying official was the first human to spot the wrathful matriarch of Olympus. The centuries had been kind to her and of course she’d kept up with the latest Greek fashions. Her peacock-blue maxi-dress swished side-to-side through the street dust while her silver bangles jangled angrily as her arms swung back and forward. The official had never seen such a beautiful yet terrifying sight. He saw a lot less when she turned him into a weasel with a brief flick of her bejewelled index finger. This was a feud between men and gods, or so the cat thought. The cat brushed its fur against stone walls as its paws avoided the muck of gutters; the muck of men and gods. The cat peered into the drains, disgusted by the fishless sea beneath that bred rats. The cat had no interest in rats or men or gods, but the cat was hungry. The cat climbed to find itself on the very roof of the travellers’ new house. The straw roof scratched its stomach as it spied through a hole. The weasel was no longer with them but Hera was. “This is to be your home,” Hera’s voice roared like a lion’s. The cat could respect a lion. “Please, we have nothing--” The uncle began, his brow turned upwards as if to beg. The cat thought the uncle was like a dog. “I am not speaking to you,” Hera looked up to the hole in the roof, into the cat’s green eyes. The cat’s back arched and its fur shot out like blades. It shrieked and jumped off the roof, landing on all fours before the door of the small stone house. The girl ran to open the door. “Zoe!” The girl’s brother called after her. Hera stood unmoved. Her eyes glared at the back of the girl’s head painted with soft yellow curls. The girl once again paid no mind to the men and the god towering behind her. She saw only the cat. Hera examined the girl curiously as she stroked and played with the cat. Zoe's innocent laughter bounced through the air as its tail tickled her legs. Hera had endured countless bastards over the centuries. This child was just another example of her licentious husband's brazen infidelity. And yet, there was something different about this one. She watched as the cat weaved in and out of Zoe's delicate legs before settling on her feet just as before. The cat looked up and met eyes with the towering goddess. "This child is now under your protection," Hera declared. "Should any harm come to her you will suffer Zeus' mighty wrath... and mine." Zoe's uncle fell to his knees and grovelled before Hera, thanking her for her mercy and generosity. She stoically raised her right hand and left the family in their hovel. Zoe lifted her new companion up into her arms and brought her to a small chair in their new home. "I will call you Sapphira." She whispered, nuzzling her face into the cat's neck. "Chirrrp" So this is to be my fate? Guardian to a demi-god and her family of simple mortals. So be it. "A cat?" Niko shouted, "We're starving and all she gives us is a stupid cat!" Zoe’s uncle spoke wisely; Hera was known to be ruthless to any she considered disrespectful of her. And of course, Zeus’ philandering was the greatest disrespect of all. The cat had no doubt that Hera’s apparent mercy in giving Zoe and her family the hovel and entrusting their protection to the cat was more than it seemed. Somehow it was linked to Zoe’s father. For now, however, the cat would begin its duty of protection by leading the family to the docks, where they would be able to find some food. “Miaow.” The cat leapt from the chair it had been placed on, briefly winding itself round Zoe’s legs, before heading towards the door. There, it stopped, disappointed in the lack of attention the family had paid to its attempts to lead them outside. Instead of following it, they had begun discussing what they might do about dinner. “MIAOW!” The cat tried again, louder this time. This caught their attention and so the cat began to scratch at the door insistently. When none of them moved to exit the room, the cat returned to Zoe’s legs and began attempting to headbutt her towards the door, with little success. The cat gave up on trying to communicate with the humans. They were just too stupid to understand. She would just have to bring food to them. It was too far to bring a fish back from the docks. There were too many small children in between with stones to throw at a cat burdened with a purloined mullet. But there had been something nearby that would do for prey. She knew humans ate fish, but would they eat weasel? The cat was not impressed. It crouched, nothing moving but the tip of its tail. The weasel stared at the cat. The cat stared at the weasel. The weasel broke first. It turned to scuttle deeper into the bush. The cat leaped. The weasel turned to meet the attack. There was a flurry of claws and teeth, and the then cat had the weasel by the neck and was shaking it. There was a rumble of thunder in the cloudless sky, and then where the weasel had been stood the god Zeus, still wearing the ill-fitting suit of the rental agent, with rosemary in his hair and the cat hanging desperately from his tie. The cat retracted her claws - carefully - and dropped to the ground, landing on all four paws, as was proper. Forgive me, Your Divinity, she said, in that cat's way of speaking with two meanings, so that she was also saying: A weasel? Really? Zeus could read between the lines. "I didn't choose this form," he said, rather resentfully. "You would do well to be more careful of your prey, cat." The cat nodded her head. Yes, Your Divinity. I was trying to find food for your daughter. Between the lines, she said: Since that didn't seem to occur to you. "My daughter deserves better food than a weasel," Zeus retorted, though he seemed less displeased. "And I will hear no reproaches from you, feline. Not by my choice did I hide my true face, and it is not by my choice that I cannot be near her." The cat did not deign to respond to the weasel comment. Some deities simply didn't understand the refinement of the feline palate. But Zeus' words struck her. She was a knowledgeable cat, when it came to the gods and their histories: all Mediterranean cats are. They soak up history the way they soak up the sun, from cobblestones. Zeus usually did what he could to save his paramours from Hera's wrath, but he had never showed any interest in being present in the lives of his offspring. She is different, the cat said to Zeus, tail flicking in the air. I knew it as soon as I met her. Why? What was her mother? Zeus' gaze grew distant, for a moment, and he suddenly looked less like a rental agent and a little more like a king among gods. "She has none," he said. "I created her, and I bore her myself. She shares no blood with her human family." At the cat's silence, he added: "Well, if Hera could do it with Hephaistos...!" So that was it. He had been jealous of his wife's feat, and tried it himself - and now, being the child's only parent, felt responsible for her as he had never felt before. Perhaps that was why Hera had spared this child, too: she had sensed that no infidelity lay behind this. The cat thought for a moment. Hera had charged her to protect the child, but she had given the cat no help, and certainly no food. Zeus, however... if Zeus was entertaining parental feelings, he might be more forthcoming. Then she is unique, she said, playing to his vanity. A treasure. She deserves to be well protected. Yes, the cat purred, but how I am to keep her fed and protected, by myself, I really do not know, Your Divinity. Humans are very slow creatures: they cannot even be taught to hunt. Zeus’ eyes narrowed. The cat stared steadily back, confident of her victory if a staring contest ensued. The cat began to wind herself around his legs in approval. Your Divinity, I believe we have a deal. This is one of three stories written as part of our summer 2018 chain writing project. You can read the other two here and here, and find the project wrap-up announcement here. Editor's Note: As the starting writer on this chain I was interested to see how it would end up - the answer was much more pleasant and indeed cat-heavy than I'd expected, and although this was logistically the chain that had all the difficulties and ended up delaying the project several weeks I'm happy with the result. I'd initially only meant the mentions of Greek deities in the early section as metaphorical, and was amused to see them taken literally in what turned out to be a very nice and gently funny piece of chain writing. The Editor Is Now Concerned About: The damage done to the local ecosystem by Zeus' unending supply of fish. And what Poseidon has to say about the matter!